Sansevieria is a genus that includes around 70 species of suculents in the Asparagaceae family. Most species are native to tropical Africa to include the Congo, Nigeria, and adjacent countries. Although a few species are native to India and other regions in Asia. Most have thick robust roots and long, erect and narrow basil leaves which contain strong, water-resistant fibers. Some varieties are used to create ropes and other fiber, and many have attractive qualities that make them suitable as houseplants. Sansevieria ornamentals are often called mother-in-laws’s tonge or snake plant (S. trifasciata). Hundreds of subspecies, varieties and cultivars are sold as houseplants. 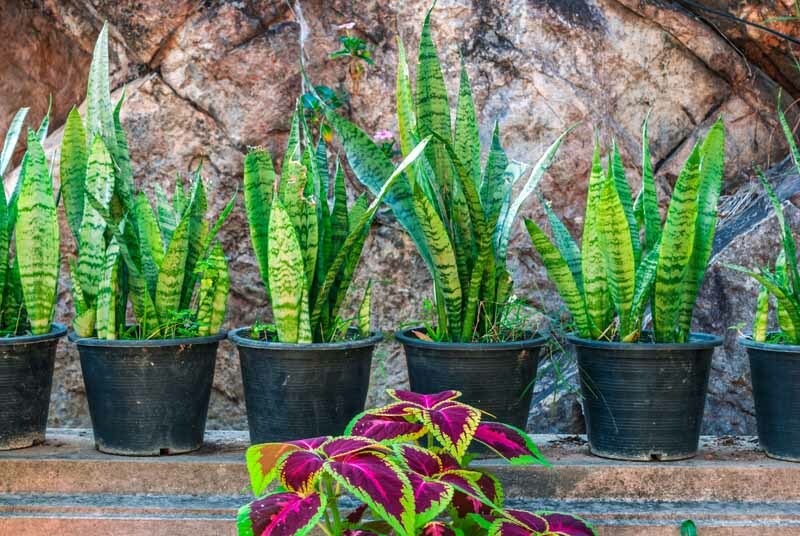 See all of our articles below for Sansevieria growing, identification, and care guides.